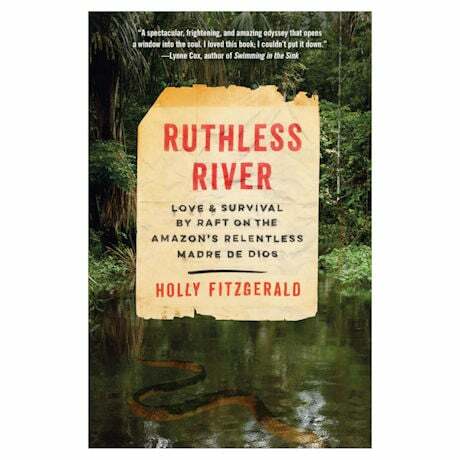 When Holly and "Fitz" FitzGerald set off for South America for an adventurous backpacking honeymoon in 1973, they never expected the harrowing journey that was in store for them. After surviving a plane crash in Peru, the newlyweds—full of naïve optimism and reckless youth—accepted a local's advice to simply raft through the jungle via the Madre de Dios tributary to their destination on the Amazon River. With no guide or map, the two soon found their little vessel—just four logs with a tent—ravaged by the elements, their supplies dwindling, the sky and water filled with perilous creatures, and their course obscured…with no land in sight. This thrilling true account of their terrifying adventure and miraculous survival is a wild, nail-biting ride from the first page to the last!